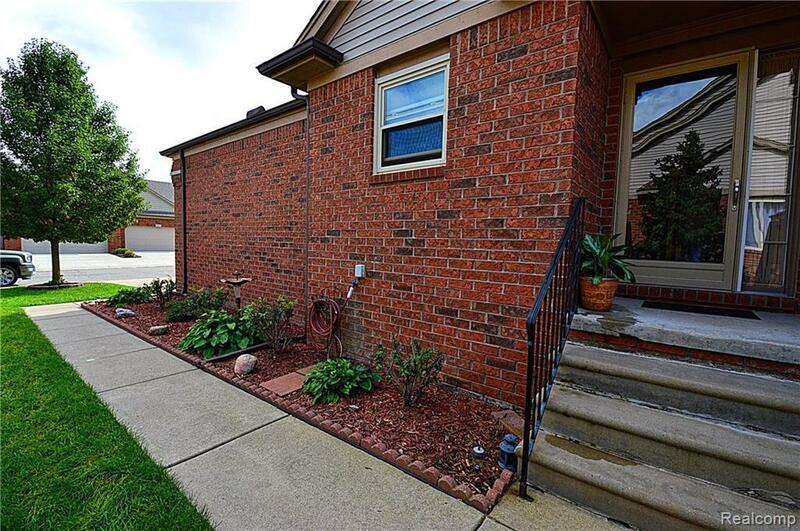 Pristine ranch condo home nestled in one of the most desirable locations within the popular Chesterfield Square Villas community of Chesterfield Twp. 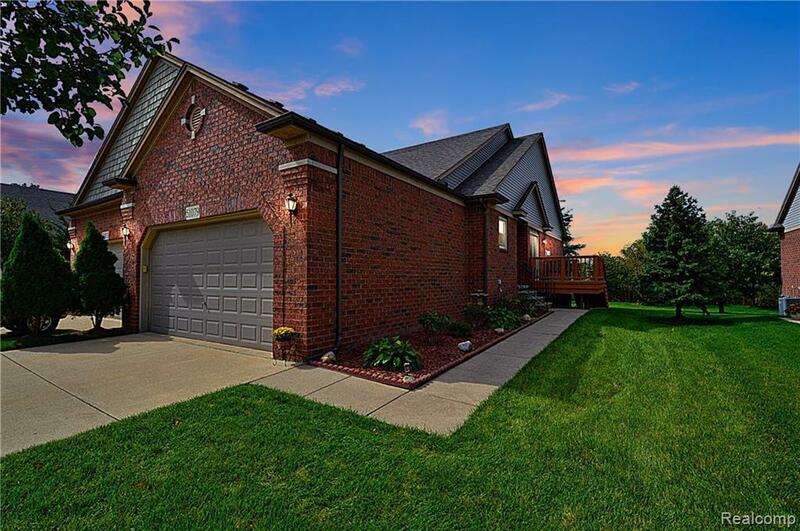 Grand entrance that opens into the expansive great room w/soaring vaulted ceilings, cozy gas fireplace and doorwall out to the custom deck that overlooks the private backyard... perfect for outdoor entertaining or quiet relaxation. 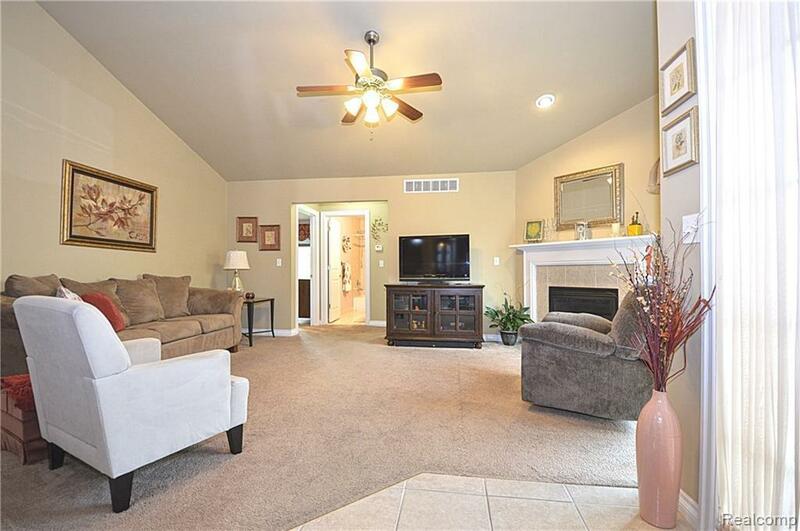 Spacious eat-in kitchen w/rich maple cabinets, granite countertops & oversized ceramic tile floors. Private master suite featuring clean ceramic bathroom & 2 walk-in closets. Nicely sized 2nd bedroom and main ceramic bathroom. 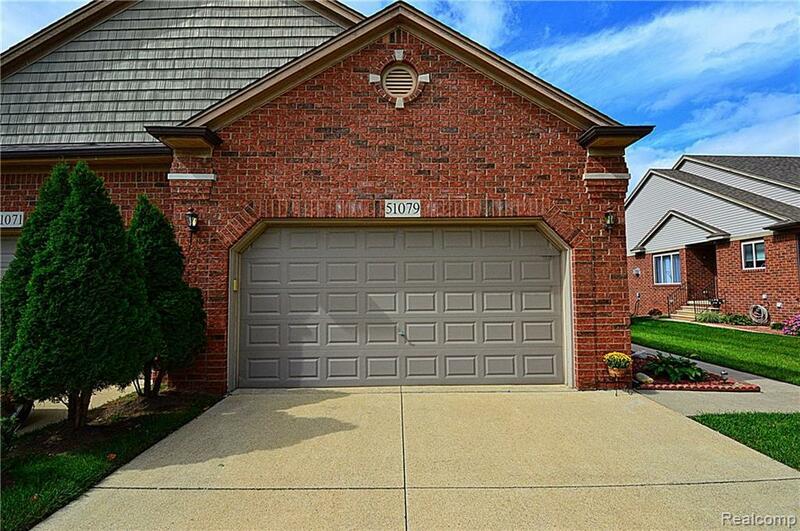 2+ car attached garage that opens to the first floor laundry... full finished basement w/bright daylight windows, kitchen area & plumbed for an additional bath. Homes like this one do not become available often... don't miss out on this gem.